I love dark, epic storytelling with happy endings. It probably started when I was thirteen and read THE STAND by Stephen King. After 99% of the world is killed by a deadly virus, our survivors are faced with an even deadlier battle, in the name of evil Randall Flagg. Most of the people we grew to love and hate in the 1200 page tome (yes, I read the unabridged version) also die. The ending is happy(ish.) Bittersweet, but Stu and Frannie (and Frannie’s baby) survive. They defeat evil and begin to rebuild. Epic storytelling generally involves high fantasy, but after reading the Lord of the Rings trilogy in high school, I haven’t been a fan of fantasy. I loved the story, but there was a lot of other stuff that made me skim lots and lots of pages. My 17 year old daughter read the first two books of the Game of Thrones series and she enjoyed them, but said she was finding herself skimming a lot as well, even though she was worried she’d miss something. So we are watching the Games of Throne series this summer to get caught up because from what my daughter has heard, it’s as good as the books without the boring parts. I understand the need for storytellers who have to build a world to incorporate scenes, chapters and even hundreds of pages of histories and events, and there is a large groups of readers who love that level of detail. Epic storytelling works amazingly in film, especially when there’s a franchise and storytellers can world build over time, adding layers with each movie while still making each movie a solid story. STAR WARS came out when I was eight. I saw it in the theater and was completely in awe. 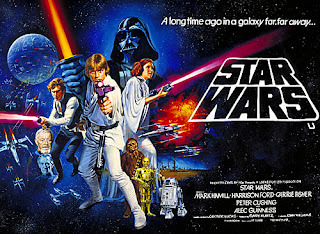 This was 1977, and we hadn’t seen anything as vivid and epic and fast-paced as STAR WARS. It opened my mind to possibilities I hadn’t even known existed, let alone thought about. Not just the world of science fiction, fantasy, or alternative worlds, but the breadth of storytelling. When I was eight, I was reading Trixie Belden and Nancy Drew. STAR WARS blew me away. Yet … JJ Abrams is set to direct the seventh Star Wars movie, and I am cautiously optimistic. It’s like when I know Joss Whedon is involved in a project, I am already on board because he’s an amazing storyteller. And in the end, it’s always about the story. Epic storytelling isn’t just on the big screen; quieter versions exist in television. The first season of HEROES, for example, was an epic storyline that, like King’s THE STAND, brought together disparate characters in a final battle where some became heroes, and some became villains. 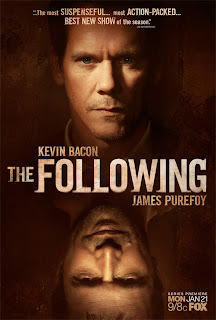 I also consider the recently completed first season of THE FOLLOWING starring starring Kevin Bacon and James Purefoy to be an epic storyline. I think it was one of the best written shows on television this year—dark, suspenseful, and very well-written. There is a happy(ish) ending to the season, but then wham! The writers give us a twist. This isn’t a series you can watch just one episode—you have to go from beginning to end. It’s an over-arcing epic story told for the small screen. 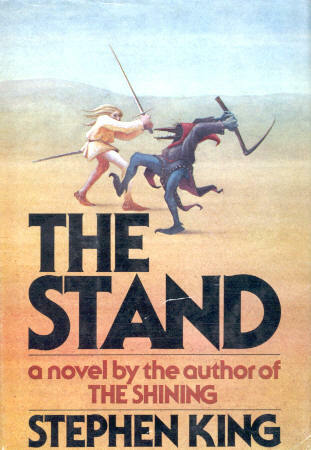 It gives you the depth of character that you rarely get in two hour movies – the same depth of character I see in novels like THE STAND. What do you think? Is there a different formula for epic storytelling in books than in the movies? Do you like all the high-level detail in fantasy novels, or prefer the movies? Did you see Star Trek? Iron Man? The Avengers? Or are these high-speed adventures not your cup of tea? 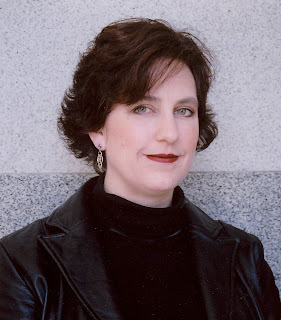 New York Times and USA Today bestseller Allison Brennan is the author of twenty novels and several short stories. A former consultant in the California State Legislature, she lives in Northern California with her husband Dan and their five children. 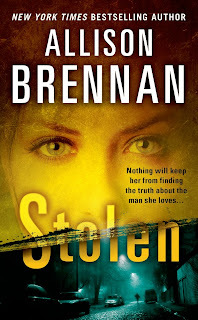 Allison's latest Lucy Kincaid thriller, STOLEN, will be out this coming Tuesday, June 4th. You can find out more about her books, and get a printable list of her series, at her website. I think the hardest part of story telling is achieving "suspension of disbelief" in the reader, because every reader is different, and so what that takes for each reader is going to vary. I think one of the reasons I love to read so much is that I am really easily sucked into a book, wholeheartedly. I remember my mother advising me to take Alistair MacLean's "H.M.S. Ulysses" (about a WWII British warship that is deployed into the arctic circle) on a summer camping trip. "It will help you stay cool," she told me. She was right -- I cannot read that book without a blanket! The thing that will jar me out of a book most easily is bad writing. 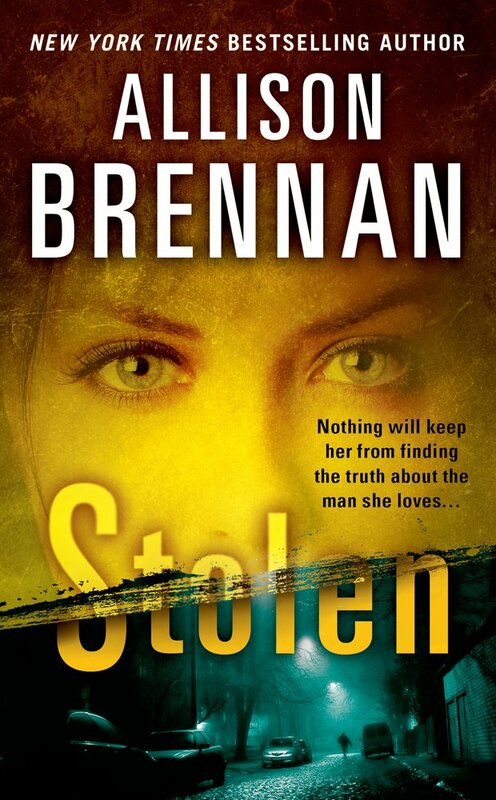 There is one very popular mystery writer who has great plots and her characters, by their actions, are interesting. However, her dialogue is so "flat" that I've stopped reading the books because I'm tired of slamming them down with an "Oh, come ON!" when the characters say completely unbelievable things. The whole absorption thing can be a problem when watching cinema or video... when I left the theater after Jurassic Park, it was all I could do not to duck and dodge away from the cars leaving the darkened parking lot as though they were velociraptors or something. And I think E.T. is the saddest story *ever* and, boy, *that* was a mistake to see in public! So I'm not sure that "good storytelling" can be defined, or that *any* story will work for all of us. However, it's surely magic when it does and thanks to all of you that labor to give us that pleasure! Hi Joan -- thank you so much! :) .... I agree about HEROES. Season 1 and 3 were great; seasons 2 and 4 not so much. The writer's strike which hit in the middle of season 2 damaged HEROES more than any other show, in my opinion. THE FOLLOWING is violent, but I didn't think that it was over-the-top, it was all necessary for the over-arching story. And the actors, all of them, were fabulous. Hi Kristi -- yeah, bad writing can ruin a good story, but I'm usually forgiving of mediocre writing if the story is there. My daughter who read Martin usually likes more depth and "literary" books than I do, but she was skimming. :) I'll definitely look at the video later ... but does it have major spoilers? I don't mind minor spoilers, but I haven't seen the series and I just ordered them on disk. I cried at E.T. too and I think I was 13 when it came out. Great post, Allison! And I had to really think about this one. And for me, I realized that whether it's a movie series or a book series it's all about the characters for me. If I fall in love with them I want to follow them - for better or worse. 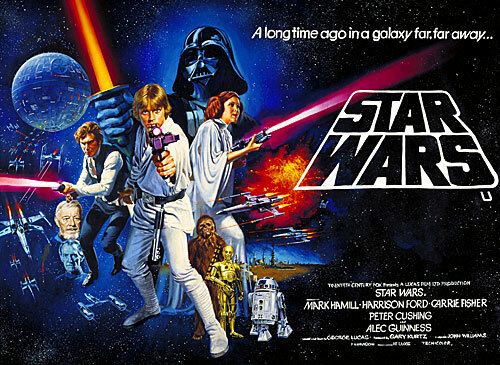 The original Star Wars did it for me, not so much the second series for the same reasons you note. James Bond is another for Daniel Craig (sighhh) but they didnt follow through from Casino Royale. For either movies or book series, I also dont want a lot of time explaining the back story again - get right to it. Right now I'm sucking down The Ranger's Apprentice series as I adore 2 characters in it and vested in their growth. Game of Thrones is a dense read, but so worth the time put into it. The HBO series is great, but no where near as all consuming as the books. I too, can still remember reading The Stand for the first time. Amazing stuff. At the BEA Book Bloggers Con, Mulholland Books revealed that they are publishing a novel created by JJ Ambrams called S. It appears to have tons of ephemera (much like the Griffin and Sabine series from a few years back). Coming out in the fall and I can't wait! In any writing, it comes down to the characters. The fact is their journeys drive the story into infinity and beyond. I'm a fan of the quiet epic as well as the loud epic. Not huge on fantasy--the Tolkien trilogy was definitely a case of movies over books. What about "Homeland"? I loved it. Quietly epic in my opinion--huge themes underlie the characters' struggles. I need to check out "The Following." And I can't can't can't wait to see the new Star Trek. It's more than the characters. It's well-drawn characters in a story you know will be momentous for them. It's when the bet it all because what's happening requires that level of dedication and nothing less. It's Rocky and Apollo Creed, Alydar and Affirmed, it's chasing round the moons of Nibia and round the Antares maelstrom and round perdition's flame before the character gives up. It's two (or more) characters entering into a long-inevitable situation with the knowledge that devastation awaits for one of them. It's like a ballgame that matters a lot and you know early on that one mistake or one triumph will make all the difference. And it matters because you care deeply about one or both of the combatants. It's both story and character done exceptionally well. I love superhero movies. (I'm so looking forward to the reboot of Superman!) ... But I also agree, Michael Keaton nailed Batman for me. He was perfect, especially the first movie. And the over-arching epic storyline worked there -- and worked for ONE movie, which sometimes I think that storytellers get into the groove of telling an epic story over multiple movies, forgetting that we need a complete story EVEN if there is more than one movie planned. Joss Whedon recognizes this -- THE AVENGERS was epic storytelling and fully contained, while also bringing in the backstories in a completely believable and fluid way. I hadn't seen all the Marvel movies, but I didn't feel I'd missed anything. Hi Kristopher -- thank you! I love the Seven Deadly Sin series and am currently writing Mortal Sin even though I don't have a publisher for it. It'll take me awhile to finish (since I have to meet my contractual deadlines) but I haven't forgotten the series. MORTAL SIN will be epic in storytelling because I want it to, essentially, complete the series while also keeping the possibility for the other four books I'd had planned. I'm just tweaking the structure for how the Sins are (or aren't) captured. I have the first four Martin books -- I might read them if I ever have down time. I'm not a big fantasy reader (I generally navigate toward science fiction over fantasy), but I love good stories. ... Thanks for the heads up on the JJ Abrams book. I'll definitely put it on my radar! Mary Jo -- to infinity and beyond! Which reminds me that Toy Story is my favorite Pixar movie. GREAT storytelling doesn't have to use real people! Lisa -- I didn't know there were boring parts in THE STAND! LOL. I think now ... the opening 150 pages meeting all the characters might be considered "slow" but I was so riveted. It's one of the few books I've read twice. I haven't seen HOMELAND ... kept meaning to, but I know I need to start at the beginning. Hi Chris -- I think you hit something I didn't mention in my post -- that it's characters you care about, you WANT them to succeed because you know that whatever they're facing is monumental for them. And that's only achieved (our satisfaction at the end) if you have characters you can root for in the hands of someone who can tell a good story, either in print or at the movies. Allison, the video has no spoilers at all, I promise. It's entitled "George, Write Like the Wind" and very cleverly exhorts Mr. Martin to "write and write faster -- Winter is Coming and I'm growing old," and to turn out "900 more pages of crack for the nerds." While many of us are... chagrined (let's say, *grin*) that our favorite series authors don't publish more quickly, I think we can all appreciate this bit of gentle jabbing at "the great bearded glacier!" God Allison, I love your books. Before I start drooling as I grovel, I'll just say this blog is genius and I'll bow out before I drown in my own slobber. Allison..oh, I so agree. The Stand is one of my favorite books ever. I actually--don;t tell--called in sick back in 1980 to stay home and read it!